Enjoy the Sam Letts Memorial Working Truck Show! Trophies for every event, class, and place. The Garden Tractor Pull is Popular! 01Enjoy the Sam Letts Memorial Working Truck Show! 02Trophies for every event, class, and place. 04The Garden Tractor Pull is Popular! The hundreds of families and friends who attend the Ionia Farm Power Show enjoy browsing through the vendor booths. They seek out the unique hand-make creations, one-of-a-kind flea market finds, and of course, they’ll stop for lunch and a snack, too. If you're a vendor or non-profit organization, click here! 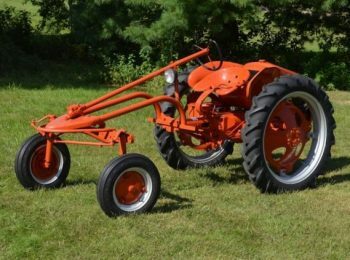 This year's raffle prize: a 1948 Allis Chalmers 'G' ; Second prize, $300; third prize, $200; fourth prize, $100; fifth prize, a toy tractor! Each year, the Ionia Farm Power Club sells raffle tickets for great prizes. Thanks to everyone who bought tickets! Watch this space for next year's prizes. You can be a spectator or a participant. Yes there’s free music, and dozens of other activities that everyone can watch throughout the weekend. But there are many that kids, adults, and families can join in, too! Pie-eating contests and auctions, tractor baseball, pedal tractor pulls, and lots more. The Ionia Farm Power Club is a non-profit organization that is fully operated by volunteer members and generous contributors. There have been a few members and supporters who have now passed on. They were involved “above and beyond” and made this club, and this show, what it is today. We acknowledge those members here with our heartfelt thanks. Camping is $20 per night (with water and electricity) - CLICK HERE for camper registration. Rustic Camping is $10 per night - CLICK HERE for camper registration. If you’d like a hotel room - CLICK HERE for lodging information. 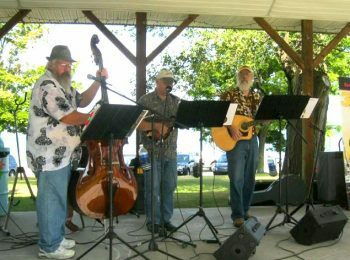 LIVE MUSIC and FAMILY FUN, plus FREE PONY RIDES ALL WEEKEND! And don’t miss the big PIE AUCTION! 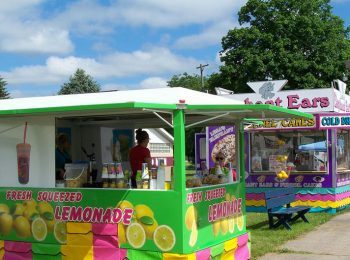 For info on other area attractions and events, please contact the Ionia Area Chamber of Commerce.